A Peripherally Inserted Central Catheter (PICC) is essentially a fancy, extended intravenous line. The line is placed in the upper extremity above the antecubital fossa. Assess which side line should go on, check for prior PICC. 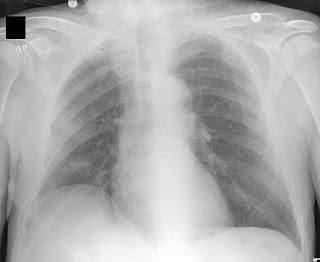 For example, if the patient has a left sided pacemaker, place the PICC on the right. In practice though, the brachial is often easier than the cephalic. For the average arm, approximately 40 cm usually. Take final CXR. 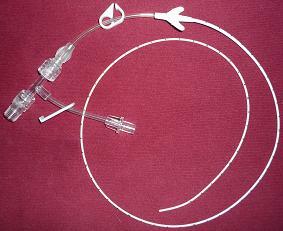 Catheter ready to use. The catheter can be removed on the floor by simply pulling, then holding pressure and putting a dress on afterwards.